1. 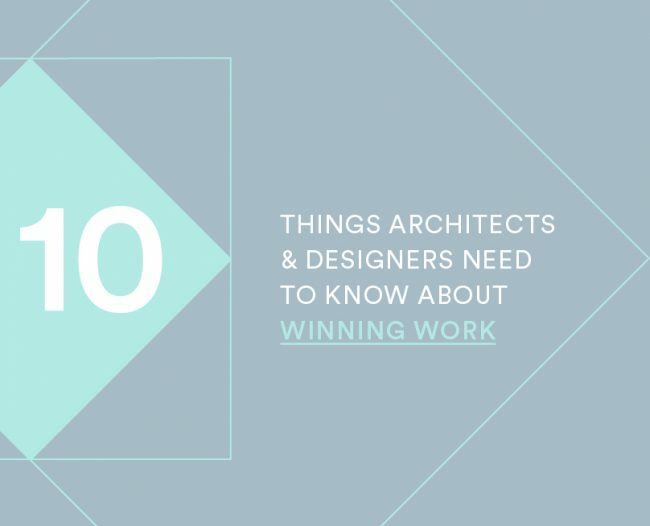 You will rarely win new work without a preexisting relationship with the client. Establishing and nurturing client relationships is what business development and winning work is all about. 2. Building relationships is all about establishing rapport with clients (finding common interests and expressing genuine interest in their needs and desires) and being likeable, which is all about being yourself! 3. Determine who in your firm is responsible for business development. It works best when it’s the shared responsibility of all senior staff even if you employ a dedicated business development person. Regular business development meetings with all senior staff are critical (at least fortnightly or monthly). This is an excellent way to regularly share contacts and motivate the whole leadership team to consistently engage in business development. 4. Structure your business development activities and keep a ‘live’ record of who is doing what. A good Client Relations Management system (CRM) designed for architecture firms like tiny+ is ideal or you could simply use a shared Google docs spreadsheet. 5. Your ‘shared’ record will include all your existing, past, and potential (wish-list) clients and activities you’re undertaking/planning to undertake to engage with them. 6. Engage with your existing and past clients regularly in a positive manner to ensure closeness, awareness of future work opportunities, and potential referrals to your clients’ network. 7. Establish relationships with potential clients as early as possible – wooing a new client and winning a commission is the result of months or years of active engagement. 8. Examples of business development activities include but are not limited to: email or telephone introductions leading to coffee catch ups, presentation meetings, speaking events, boardroom lunches, and writing of submissions/proposals. 9. Articulate your firm’s brand clearly and concisely in all your business development activities. Firms competing on brand know who they are, what makes them unique, and why clients choose them over their competitors. 10. Integrate your business development activities with your marketing and publicity. If your marketing and publicity is successfully implemented (inline with your brand and business development objectives) it will naturally increase your profile and attract clients.